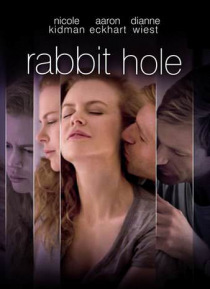 Rabbit Hole is a vivid, hopeful, honest and unexpectedly witty portrait of a family searching for what remains possible in the most impossible of all situations. Becca and Howie are returning to their everyday existence in the wake of a shocking, sudden loss. Just eight months ago, they were a happy suburban family with everything they wanted. Now, they are caught in a maze of memory, longing, gui… lt, recrimination, sarcasm and tightly controlled rage from which they cannot escape.